This was the opening of Beyoncé’s Ivy Park Fall/Winter 2016 commercial. 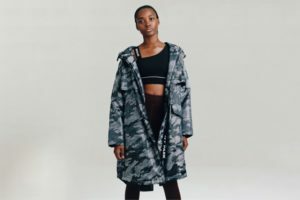 The ad, released Thursday, September 29 on both Beyoncè’s personal Instagram and the official Ivy Park Instagram, was a montage of home videos of Knowles-Carter family rehearsals, concert footage, photoshoots and peeks of Queen Bey herself working out in Ivy Park gear. Visuals are accompanied by Beyoncé sharing what motivates her to keep going when she feels like giving up. She punctuates with the line, “I push past the pain and I find love.” Following the release of the commercial, fans took to Twitter to share their excitement for the new line. Favorites from the new line include crop tops, an oversized metallic puffer coat and the denim jumpsuit. The line is available at Nordstrom, Topshop, SIX:02, and Hudson’s Bay in the US. Most of the products have been available since Sept. 22, but a limited edition metallic puffer coat will not be available until October 20. With the buzz created over the past few days, Ivy Park Fall/Winter 2016 is sure to be the athletic-casual collection to wear this season.